The NZ Transport Agency have recently completed a key phase of engagement on the Indicative Route for the Warkworth to Wellsford Project – the second section of the Ara Tūhono Pūhoi to Wellsford Road of National Significance. The Indicative Route extends approximately 25kms from Warkworth in the vicinity of Woodcocks Road, heading north through the Dome, crossing State Highway 1 near Wayby and then passing east of Wellsford and Te Hana through to the Mangawhai Road area. You can read more about the Indicative Route and Project Objectives on our website. 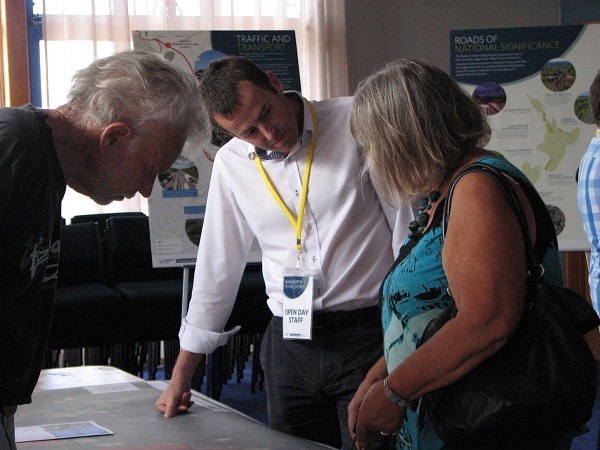 During February and March 2017 we presented the Indicative Route to key stakeholders and land owners through one-on-one meetings as well as the wider community through five project information days, a consultation feedback brochure delivered to 14,000 households across the Warkworth, Wellsford and Te Hana areas and via our project website. We sought to understand views on the Indicative Route and interchange locations, the benefits expected and areas of value to the community. We wanted to ensure we had a broad understanding of community views which we can now use in the project design and development as we move forward. Approximately 650 people attended the information days. 161 written feedback forms, 69 online feedback forms, 53 recorded discussions (outside of land owner meetings) and 22 emails were received providing feedback. The project with its objectives has broad support. 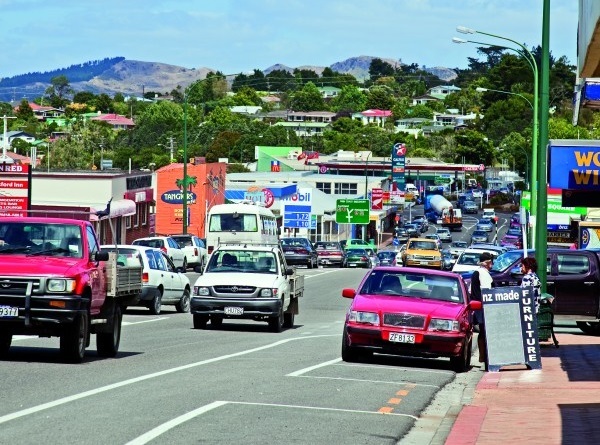 A change in location for the Warkworth Interchange is desired to reduce effects on property and community in the proposed location of Kaipara Flats Road. Design refinement is desired around Te Hana Interchange (Charis Lane / Mangawhai Road) to minimise impacts on property. Changes to improve safety of the northern tie-in are requested, particularly regarding Maeneene Bridge and side road access. Consideration should be given to minimise the impact on people/properties/farms and businesses as much as practicable through design and then mitigation. Consideration should be given to ensure environmental and cultural considerations are undertaken, but don’t over value these in terms of getting the project done. The project is needed and should be built as soon as possible. All of the feedback received has been distributed to relevant members of the project team including the engineering design team and environmental specialists. The project team will review every item of feedback and incorporate it where practicable as we refine the design of the Project. Due to the amount of detailed feedback received, particularly in respect of the interchange locations, this design process will continue until the second half of the year - when we will produce a further developed Preferred Route. We are planning to come back to key stakeholders, land owners and the wider community in the second half of the year with the developed Preferred Route and summary of how feedback has been utilised in that updated design. This is longer than originally anticipated because the amount of feedback we have received which we need to go through. The second phase of engagement later this year will seek views on any amendments to the alignment and the broader environmental effects and potential mitigation opportunities. Feedback received in the second phase of engagement will inform the technical reports that are being prepared by the environmental specialists. These reports and other project documentation will be lodged at the end of the year with the Environmental Protection Authority (EPA) as the consent authority. The EPA will administer a formal submissions process when the Indicative Alignment application is publicly notified, where directly affected landowner and the wider community can share their position on the proposal to a Board of Inquiry who will make a decision on the application. We will provide further overview of this process in future project updates. We’d love to get a better understanding of the communities in our project area. If you have any photographs or thoughts to share, you can upload and pin them on to the map on our website. They can be old or new – things from the past or hopes for the future. It’s a place for people to share their community values and history with others in the community. We’ll bring this along to our next group of information days around July – and of course it will be available on our website. Let us know if you find useful information that we can share with others and please feel free to contact us at any time if you have any project questions.